a national school once was. Can you help to identify any other national schools? Or do you have memories or photographs of those listed here? We'd love to hear from you if you have anything to add (or correct...). A national school was built on Church Street in 1835 near to St Mary's CofE Church. More on this within a history of early education in the area can be found on the Bedford Borough Council website. Former National School, Wilburton, Cambs between the High Street and School Lane; in 1855, the infants' school, which held 35, was enlarged to provide 90 places for children of all ages. Source: www.geograph.org.uk The copyright on this image is owned by Rodney Burton and is licensed for reuse under the Creative Commons Attribution-ShareAlike 2.0 license. 'Then there were Two: The Story of Eleven Schools in the Five Villages of Kelshall, Rushden, Sandon, Therfield and Wallington' by Daphne Wright (from The North Hertfordshire Villages Research Group, 1988). 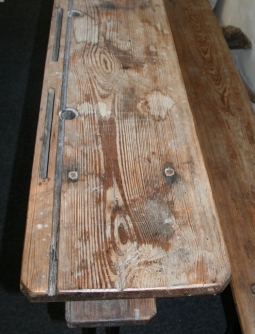 Details about the book as well as a plan of the national school can be found on Hertfordshire Genealogy website. Photograph of the former school building on Cambridge Street. According to the photographer the stone above the doorway (inset) dated 1856 came from a previous building. Source: www.geograph.org.uk The copyright on this image is owned by David Wright and is licensed for reuse under the Creative Commons Attribution-ShareAlike 2.0 license. There was a boys' national school in Castlegate, Grantham. 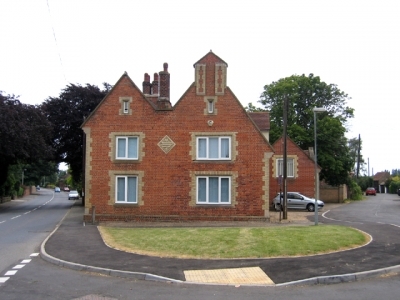 In 1857 a girls' school was added (replacing the charity school for girls). The town had also had three National Society infant schools – Brownlow (est. 1835), Little Gonerby (est. 1851), and Welby (est. 1857). More details are on the Institute of Heraldic and Genealogical Studies website. 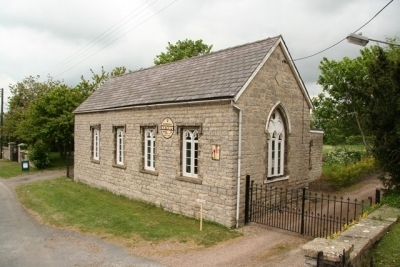 The school has a datestone of 1846. It is now the parish room. Source: www.geograph.org.ukThe copyright on this image is owned by Richard Croft and is licensed for reuse under the Creative Commons Attribution-ShareAlike 2.0 license. 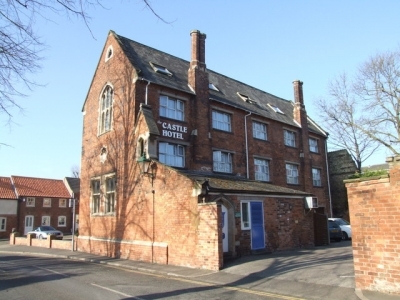 Castle Hotel, Westgate, is in the building of the former North District National School which opened in 1852. 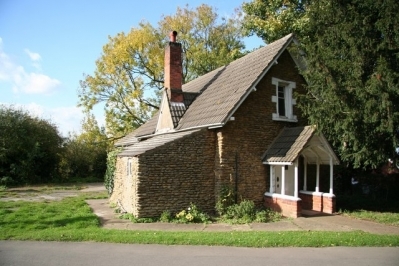 Source: www.geograph.org.uk The copyright on this image is owned by Dave Hitchborne and is licensed for reuse under the Creative Commons Attribution-ShareAlike 2.0 license. The National School in Whitton opened in 1864 and closed in 1943. The building is now Whitton Village Hall. Source: www.geograph.org.uk The copyright on this image is owned by Richard Croft and is licensed for reuse under the Creative Commons Attribution-ShareAlike 2.0 license. "Wilderspin National School, Queen Street "Samuel Wilderspin was an English educationist known for his pioneering work on infant schools. His belief was that a child should be encouraged to learn through experience, and to development in feelings as well as intellect. His work provided the model for infant schools in Europe and North America. "Wilderspin was apprenticed as a clerk in the City of London, but later trained in infant education. He became the master of his own infant school in Spitalfields, and published On the Importance of Educating the Infant Poor in 1823, based on his experiences there. He began working for the Infant School Society the next year, informing others about his views on education. His approach to schooling as necessary for a socially and morally prepared child was informed by his Swedenborgianism. Play was an important part of Wilderspin's system of education, and he is credited with the invention of the playground. He also ran a company supplying apparatus for playground activities. Several hundred schools were founded by Wilderspin throughout the United Kingdom. 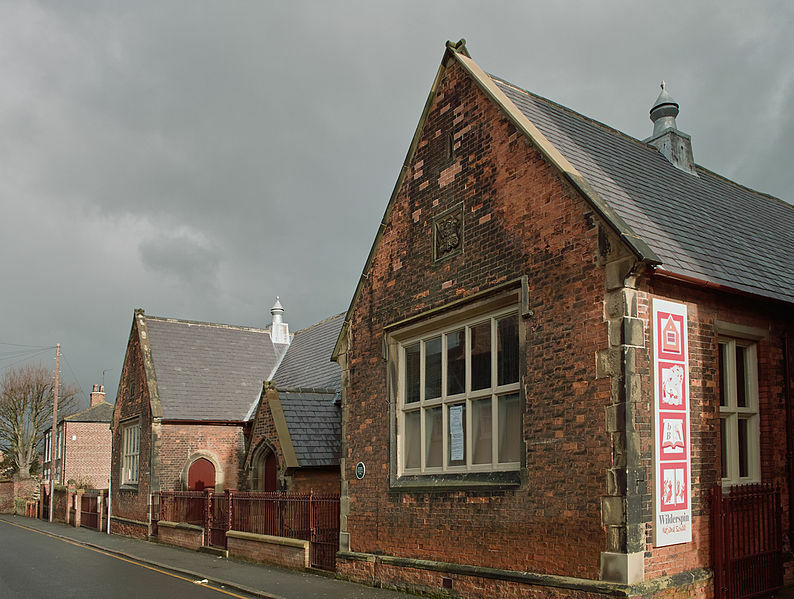 However, Queen Street School in Barton-upon-Humber is the only known surviving school built to his designs. It was completed in 1845, and Wilderspin himself taught at the school for several years before retiring in 1848." Wilderspin National School, Queen Street "Samuel Wilderspin (1792, London %uFFFD 1866) was an English educationist known for his pioneering work on infant schools. His belief was that a child should be encouraged to learn through experience, and to development in feelings as well as intellect. His work provided the model for infant schools in Europe and North America. 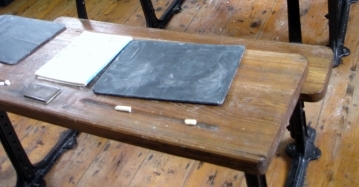 "Several hundred schools were founded by Wilderspin throughout the United Kingdom. 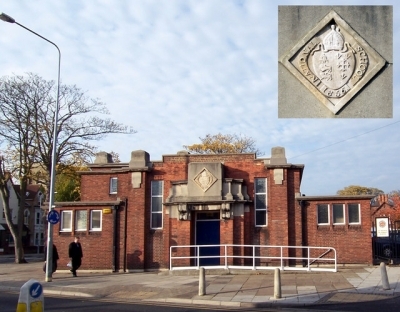 However, Queen Street School in Barton-upon-Humber is the only known surviving school built to his designs. It was completed in 1845, and Wilderspin himself taught at the school for several years before retiring in 1848." The national school in Wintergham was built in 1845 although had been functioning in earlier times without a building. Good information and photographs can be found on the Winteringham Local History website.